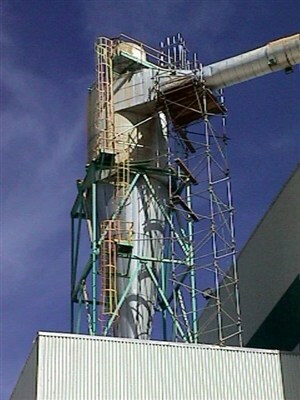 At Moonlite Scaffolding Inc in Slave Lake, Alberta, we erect, modify and dismantle all types of scaffolding inside and outside of vessel/tanks including engineered designed scaffolds. We moved the business to Slave Lake from Edmonton in order to better serve the Slave Lake, Wabasca, Red Earth, Hinton, High Level and Swan Hills areas. Over time, we have established our position of leadership to build a solid foundation from which we continuously grow and improve our ability to serve our customers in the Oil, Gas, Lumber, Pulp and Paper Industries. While we have one of the most comprehensive safety programs in the industry, we believe that we are more than a company with a great safety program - We are a safe company. As we meet and exceed all of the Occupational Health and Safety Act, regulations and code as well as client specific rules and regulations. Our company has been an ISNetworld client since December 2008, and we've held our Small Employer Certificate of Recognition (SECOR) since June of 1998. We can manage your scaffold project from start to finish including delivery, erection, dismantling, high angle rescue, confined space and engineered scaffolds. Moonlite Scaffolding Inc. is for sale. Contact us for more information.